Massive thanks to the Kodular team…Major impressive work on this build: and when I saw the clickable labels and the call button procedure … wow You guys are really on top of it. This was a quick one while I work on another one to test out ads and in-app purchases. 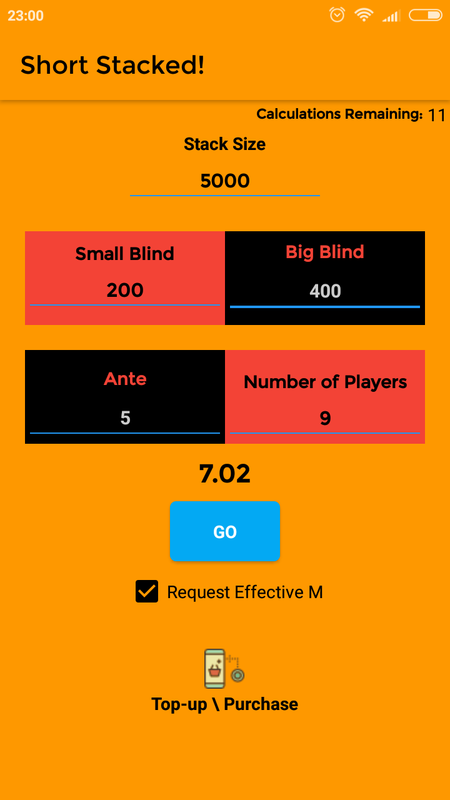 Super simple app that works out your M in tournament poker that helps you define your strategy. Questions thoughts or improvements please let me know. The background colours are related to the number, users would understand the colour. But yeah definitely the red and black boxes might need work. I don’t see where it says he’s giving an AIA file… so don’t ask for one. It’s not even in the Open Source category. @sangpromoney1 I use in-app purchases in combination with a timer event.